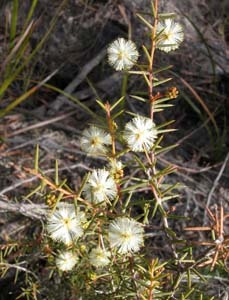 Acacia ulicifolia is one of several species of Acacia with narrow, hard, sharp, pointed phyllodes. 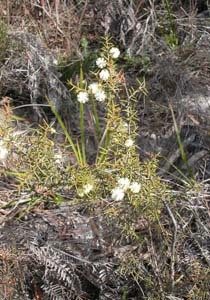 It is a rare shrub in dry heaths and woodlands of north eastern and central Tasmania, mostly near the coast. It is an upright shrub up to 2m tall. 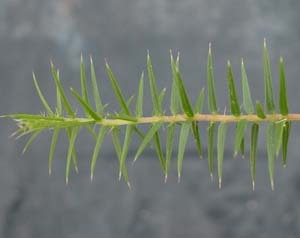 The phyllodes are narrowly triangular, but without the sharp angle of the upper leaf margins apparent in A. gunnii.